We are a business membership organisation, providing over 400 members across all sectors with opportunities to network, connect and engage on business matters. We are the accredited Chamber for the entire Fingal region stretching from Balbriggan in the north, to Santry in the south, and from Howth in the east, to Castleknock in the west. The Chamber continues to grow its membership each year and is known across the region as the independent voice of business, boasting a strong partnership line-up of Ireland’s leading organisations including Dublin Airport, IBM, Bank of Ireland, Amazon, Fujitsu and many more. Fingal’s quality workforce and diverse economy create the ideal location to start, grow or re-locate a business. Fingal is renowned for strong business leadership and inspiring innovation in a range of industries from Agriculture, Aviation, Manufacturing Technology and Hospitality. Fingal also has almost 90km of coastline which also makes it a fantastic place to live. Fingal Dublin Chamber has provided leadership for the business community for nearly 20 years and is the leading and most influential network for businesses in the Fingal Dublin Region. 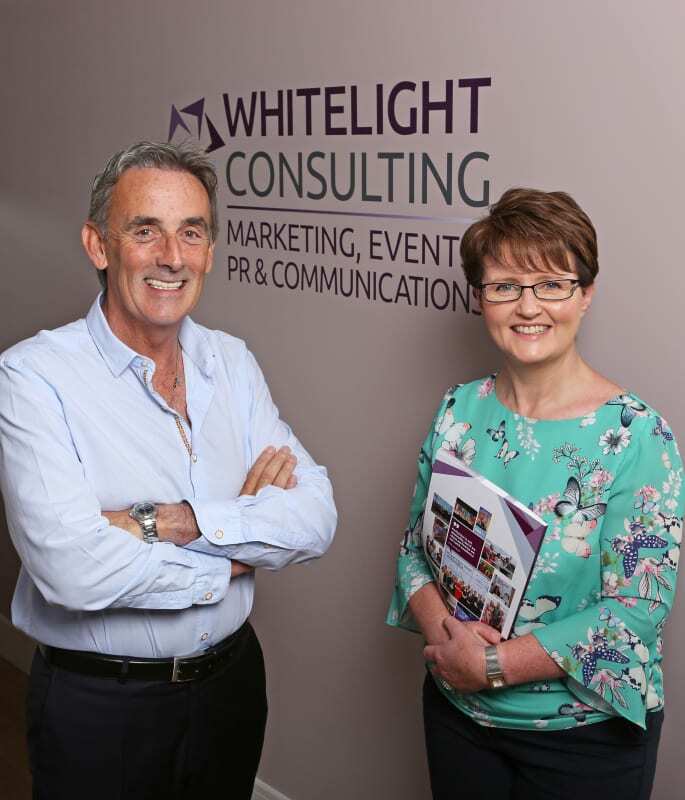 WhiteLight Consulting are specialists in Event Management, Project Management and Corporate Communications. They offer clients bespoke solutions for their events and communications needs.